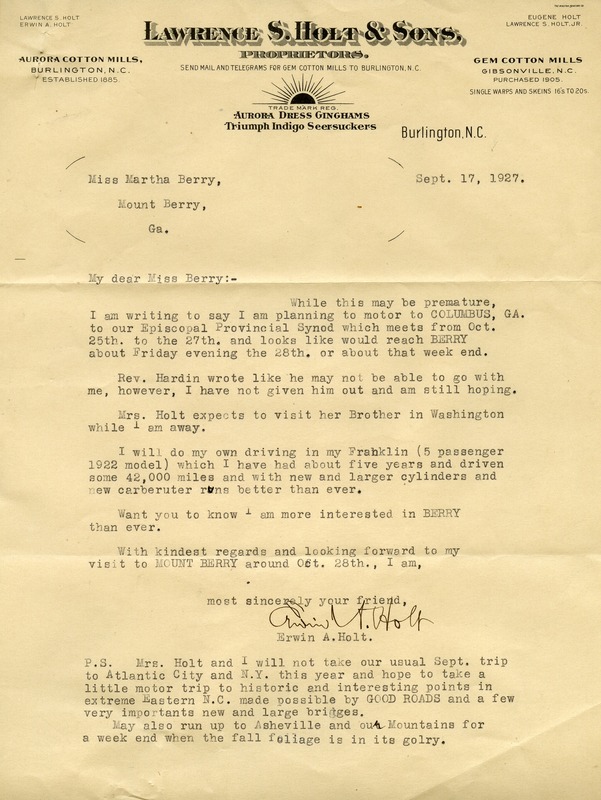 Erwin A. Holt writes Miss Berry to inform her that he will be visiting Georgia from Oct. 25th-27th. Erwin is very interested in the Berry Schools. Erin A. Holt, “Letter from Erwin A. Holt to Martha Berry.” Martha Berry Digital Archive. Eds. Schlitz, Stephanie A., Danielle Columbo, et al. Mount Berry: Berry College, 2012. accessed April 21, 2019, https://mbda.berry.edu/items/show/4462.